First of all, an increase in numbers does not necessarily mean a movement, or church, or organization, has received divine approval. While it is expected that the LDS Church will increase in numbers, the percentage of that growth has slipped substantially over the past several years. In fact, it appears that the dramatic growth that Mormons have often boasted about, is now a thing of the past. “Today, we have been allotted tools for sharing the gospel of which [Book of Mormon prophet] Alma could never have dreamed. But we may have become complacent. Don’t we send out full-time missionaries? Isn’t that enough? Aren’t we ‘the fastest growing religion’? Actually, we’re not. Church growth has been falling for many years, and our current rate of missionary success is the lowest it’s been for decades. The harvest is great, but the laborers are still too few” (“The Internet Aids Missionary Effort,” Mormon Times, April 7, 2011). While I certainly agree with Dr. Peterson that church growth has been falling for many years (convert baptisms peaked way back in 1990), I don’t personally attribute this phenomenon with complacency or even a lack of laborers. LDS leaders are firmly aware that people are leaving the LDS Church in record numbers, and they have implemented a number of new programs to improve this situation. For example, the leadership has encouraged members to be more active in social media and many have responded to the call. However, attempts to defend the faith in this arena can be very risky since it allows people to respond to some of the bad arguments Mormons post on Facebook or blog sites. That 4 percent increase doesn’t seem that encouraging when you consider that 12 years ago, 283,138 people converted to Mormonism. In 2002 the missionary force totaled 36,196. The Mormon church is between a rock and a hard place. It can no longer hide or ignore its past so it is forced to explain the dubious behavior of its founder and the myriad of contradicting teachings among its leadership. In recent months it has been trying to meet this challenge via a series of “Gospel Topic” essays posted on lds.org, but when you have a bad product, how will this new transparency help when it appears that the LDS church is now admitting that its critics were telling the truth all along? While we are extremely pleased that efforts to expose the error of Mormonism are having a positive effect, this is only phase one in trying to reach the millions of people who are still members of the LDS church. Phase two can, and often is, much more difficult as we attempt to convince disaffected members that the truth claims of Jesus are still worth considering, despite the fact that they were deceived by Joseph Smith. This article is reprinted from the July-August 2014 issue of Mormonism Researched. One of the fastest growing churches? This entry was posted in LDS Church, Mormon Missionaries and tagged LDS Church, Mormon Church growth, Mormon Missionaries, Thomas S. Monson. Bookmark the permalink. 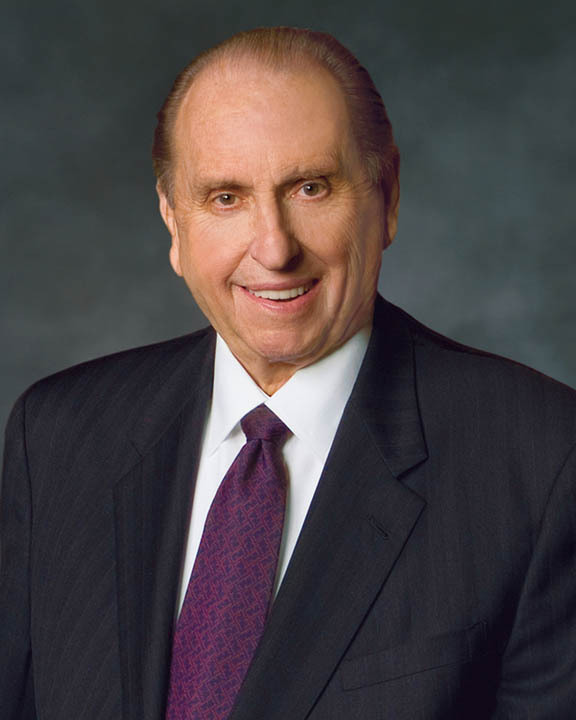 29 Responses to Monson’s Wishful Thinking? When I told my LDS friends that I was leaving the church to convert to another faith they told me that I should research the doctrine of the Mormon faith to make sure that I was making the right decision. I think its funny that all that research did was solidify my decision for leaving and made sure that I would never return. I think an interesting number is that two-thirds on the rolls of the LDS church are inactive. But here’s one of my all time favorite MM practices from the past as described by Michael Quinn. How did the church grow so fast and what kind of pressure came along with that? When was this and what was the scope of the problem? There is a definite problem when it comes to playing the Mormon numbers game. They really want to couple conversions with truth. The real problem that they have is being able to “Mormonize” converts before they found out the truth about the sect or simply don’t dig the program. The numbers game LDS love to play is extremely annoying to me. Not only are they small in number compared to other religions, the fact that they believe numbers make something more true is ridiculous! If that’s the case then the Seventh day Adventists are more true than the LDS, along with Catholicism , Hinduism, Buddhism , and even Voodoo! None of the previously mentioned religions have a sales force as large as the LDS out selling their religion door to door, and they still have millions more members. I wish Mormons would think seriously about their pitiful membership numbers before spouting off about their amazing growth! I’ve read where the LDS church has about 5 million active members worldwide. That’s still 5 million people believing in a false, manmade god and a false Christ who cannot save them. That number is important and very, very sad. The numbers are distorted, I have no doubt. But what struck me in Bill’s article is his plea to stay diligent with the disaffected Mormon population. While we certainly want people out of Mormonism, we want them in Christ more. That’s what I hope to achieve by posting here: not just to expose the fault’s in Mormonism, but to awaken people to the true Jesus, the one who we know and who knows us in a real and personal way, and who seals our eternal fate upon belief in Him. I believe this is a pro-LDS website thus I found the information quite interesting. The whole essay is very interesting and related directly to our discussion here. This essay identifies reasons for the Church discontinuing stakes, the ramification of stakes closing on local LDS populations, methods to avoid future stake closures, and an outlook for future trends in discontinuing stakes. 100 of the 122 discontinued stakes between 1990 and 2011 operated in North or South America (82%). Provided with the number of stakes discontinued, countries which had stakes discontinued since 1990 include Chile (43), the United States (35), the Philippines (10), Brazil (6), Japan (6), Peru (5), Colombia (3), Ecuador (2), Germany (2), Guatemala (2), Mexico (2), Australia (1), Bolivia (1), the Dominican Republic (1), Hong Kong (1), Liberia (1), and Nigeria (1). Stakes which operated for the most years that were closed between 1990 and present include the Ogden Utah Mount Ogden (82 years), Salt Lake Park (68 years), Glendale California (58 years), Walnut California (49 years), and Barstow California (49 years) Stakes. Six stakes operated for three or fewer years which were closed after 1990 and include the Esmeraldas Ecuador San Rafael, Iquitos Peru Mi Peru, Iquitos Peru Sachachorro, Kidapawan Philippines, Ozamiz Philippines, and Kyoto Japan South Stakes. On average, stakes discontinued between 1990 and 2011 operated for 15 years. The median number of years discontinued stakes operated was nine whereas the mode number of years a discontinued stake operate was five. Chile is the country which has had the highest percentage of its stakes discontinued over the past 20 years (37%) whereas Mexico has had the lowest (0.9%). Years between 1990 and 2011 which had the most stakes discontinued where 2002 (26), 2003 (19), 2001 (10), and 2011 (10) whereas no stakes were discontinued in 1990 and 1997 and only one stake was discontinued in 1994, 1995, and 2010. The average year between 1990 and 2011 had five or six stakes discontinued. The average stake discontinued between 1990 and 2011 was organized in the late 1980s and discontinued in 2002. Low member activity and poor convert retention rates are the primary reasons for the Church discontinuing stakes outside the United States. Oftentimes many of these stakes were organized during the years of the most rapid membership growth experienced by the Church in Latin American countries and the Philippines and also during the years when convert retention rates were the lowest. other ministries/ organizations provide this info . much success with that strategy in the last 25 years . one thing even Islam is growing rapidly , so now what ? of the gospel being preached to them . The Mormon people need to hear that gospel . I think if they are looking to have self-sustaining “units” in these third world countries, they will find that it probably isn’t going to happen. Being a full-on temple Mormon not only takes an unusually high commitment level but also some cash. They were building smaller temples, tagged McTemples, so that there would be more opportunities for Mormon folks to get with the program. The LDS church has to face reality that it’s going to be a small percentage of active Mormons who are actually going to “do the work”. Kate has discussed the fact that her husband had no interest in being at that level in the LDS god-maker program. That’s a real problem for many LDS women. Often times there husbands are low commitment members as far as the temple piece goes. Just figure that the LDS church is much like a fraternal organization. There are guys who just sign on and others where it’s a major life activity. To find men, for example, who will join the LDS church in the first place, stay with it and becoming fully invested in the temple is pretty slim. My last time at church was Sep 11, 2011 going on 3 years. I remember having a couple of talks on the phone with the stake Prez , wondering if i wanted my name removed, I said no , what ever they want i will always do the opposite . So i love the fact i am counted even though I am not there . And the less i think about it , talk about it , so much better. I know when i first left wanted to be like a Sandra Tanner, Lee Baker , Lynn Wielder , but I decided to be me again , which had not happened since 1975 . Its so nice to be free, not to drink, still don’t, or smoke, never have, but to feel a large boulder off of my heart and mind . I have considered having my name removed a couple of times. I just don’t want to be connected with that organization in any way shape or form. I had decided I was going to do it and was looking through the internet to find the instructions of how to have it done. I read through it and just got scared. I couldn’t do it. I’m not being bothered right now and I’m afraid if I go through with that its just going to be a mess and I don’t want to deal with any repercussions. Resignation applies only to a person working for an organization on a salaried or voluntary basis, the Oxford dictionary defines it as “An act of resigning from a job or office:” so the LDS, which by the way isn’t even a church in the biblical sense of the word, are talking through their hats. This is just a power game to them and by expecting you to resign they are in effect saying “you belong to us until you sign a piece of paper” however, what they want you to think is irrelevant as you stopped being a member on the day you stopped believing the church was true. The best way to deal with that kind of mindset is to simply walk away, have nothing more to do with their nonsensical mind games. Thats how I feel about it as well. I dont consider myself a member of the church anymore except by record. As far as spiritual membership not one bit! It just feels like this dark little cloud over my head that I cant get rid of. I just dont want it to come back and bite me should I convert to another faith. I feel like I need to have a clean slate out there is all. Don’t be intimidated. I resigned and had my records removed. Heart of the matter with Shawn McCraney has a good resignation letter you can use. I used that and didn’t take the time or effort to add anything. One word of advice is for you to add that you want it done immediately without any waiting periods or you will contact your attorney. We are going to send in a letter for my kids and we will be adding that. I’m not afraid of getting our attorney involved either. They will try and drag it out for months claiming it’s an ecclesiastical matter if you don’t mention or involve an attorney. I couldn’t keep my name on the books and move on. I have a cousin who had done that but I just needed it off of me! I have felt so free since the day I received my confirmation letter stating I was no longer a member! I was love bombed at first and have had missionaries at my door but I just tell them I’m not interested. I still get invitations stuck to my door for relief society parties and sometimes ward parties but I just throw them away. I’ve thought about calling the stake president and telling him to take my name off of whatever list they have me on and stop sending missionaries here. I would like to be left alone. Forgive me if I seem to be speaking out of turn. I could be really wide of the mark on this but reading between the lines I sense that you feel a need to have your name removed as an act of commitment to Christ. That, in my opinion anyway, is the ‘dark cloud over your head, it’s completely unnecessary and is probably the result of Mormon conditioning. It’s one of the ways they keep the members in line when they tell them “You must do this or that to show your commitment to Christ” The reality is that they’re actually showing commitment only to the LDS. Just me………………..but I couldn’t stand to have my name on the rolls of the LDS church. I don’t know if they then kick it in gear and send the MM out banging on your door or what their response is. Remember, this is a cult. No question about it. Sorry lurkers but it is! And they have no sense of personal boundaries. Anyway, you have to just sort of figure this out and come to some sort of peace about it. Many people just want to walk away and never look back. Others have strong feelings about wanting their names off of the list. My guess is that the morg still thinks there’s a chance to win you back if your name is on the membership rolls. I can understand the hold up of keeping your name on the role of an organization like the LDS church, one where you have fundamental and severe disagreements with. Nonetheless, God won’t care as long as your heart is with Him. If one feels better getting it off, do it. Otherwise, who cares? 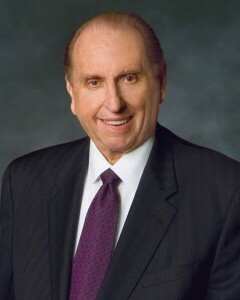 Is it just me or does Monson’s statements here conflict with LDS.org which said some time ago, ” According to the National Council of Churches, The Church of Jesus Christ of Latter-day Saints is the second-fastest-growing church in the United States. However, despite its increasing numbers, the Church cautions against overemphasis on growth statistics. The Church makes no statistical comparisons with other churches and makes no claim to be the fastest-growing Christian denomination despite frequent news media comments to that effect. I really don’t care about my name on the record, does not matter in the big picture, its how we treat each other. I was walking through the door of a major store and going out of the store was a couple that i knew in the church, you could tell she was not going to say one word and she walked out of the store , he remained , since I am a triathlete and he is a former cyclist, i told him of my latest purchase of a vintage bike. And it was nice , nothing about the church in anyway shape of form, and that is how I am about it now . I come on here now and then, but the longer i go without thinking and talking about it , the better i feel . Interesting thought. I’ve seen former Mormons go through a flurry of activity as the discover it’s all a sham and then fade away as the discovery faze and anger subside. Some continue to post etc. but I can certainly see where having been there and gotten out; how someone would then like to leave it all in the dust. LDS folks have a favorite saying, “…….they leave the church but they can’t leave it alone”. It’s a cheap shot but makes them feel much better sticking it to the former members who continue to do spiritual battle. Again, I think it’s really a small number of LDS folks who move along the path and become dedicated temple Mormons. What I don’t understand is how once someone finds out the church is a lie, how do they continue to be involved and expose their children to it? The only way I can see someone doing that is if they don’t have a true understanding of the power and authority of God. If a person truly understands that God does not accept whatever kind of worship we deem right but only the worship he says is right than they wouldn’t be able to continue to risk their own eternity and the eternity of their children mingling with deceit. I think maybe a good come back to the “………..they leave the (LDS) church but they can’t leave it alone” might be, “…….we leave the LDS church but the LDS church can’t leave us (alone)”. I can’t tell you the number of blog posts etc. I read with the same refrain about the MM banging on the inactive/former members’ doors trying to win them back to the one true church. I suppose the LDS faithful think it’s their duty and obligation to not only win over those that aren’t in the one true church, but to also bring those back in who have left. I guess there is a process where by a person can resign from the LDS church, have their name taken off the rolls and ask to be put on a “do not contact list”. I’ve heard that in many cases this doesn’t even stop the tap-tap-tapping on their doors. As I’ve said before, the LDS church is like the Hotel California where you can check out but you can’t leave (with credit to the Eagles). Good article from one of our favorite websites about leaving. I really try to stay away from analogys when explaining my perspective on things. I like to just stick with the facts and not put alot of personal opinions on things. I also think pasters have over done analogys to the point that things lose their meanings altogether. However I think this is a good time to use an analogy. This article stated that members who leave the church cant leave the church alone. They are right! And I hope members who have left continue to expose the darkness in the lds church and their disgusting roots of kabbalah and masonic practice. What do people do who become seriously injured or died because of a physician who made a mistake? They sue them for mal practice, expose their faults, and warn everyone they know not to go to them. How much worse would it be for a physician who KNEW they were giving bad advice or bad medical care and yet kept doing it? I believe this is the same thing the lds church is doing. The leaders are the physicians who are knowingly giving bad medical care and the members and missionaries are the physicians who have received bad training and are unknowingly killing the people they care for. I refuse to sit back and watch friends and family receive care from a physician I know to practice bad medicine. Just because he has good advertisement and a pretty building doesnt mean he knows what hes doing. That statement of “they leave the cjurch but wont leave the church alone” is intended to make people like me feel like im doing something wrong by speaking out. That is the same type of tactics bullies and child abusers use on their victims. I wont be bullied. All that statement did was make me want to dig my heels in because that statement stinks of fear. That tells me they know they are wrong and want people to shut up. I will shut up when they stop misguiding people and teach the truth. I haven’t had anyone shun me yet. I expected it but it hasn’t happened. I live in a small community and have known these people my entire life. Maybe they think if they just love me I will come back, who knows. We recently had a death in our family and I received a sympathy card in the mail from the relief society, with dozens of signatures of women from my former ward. It was nice, doesn’t make me want to rejoin though. Mormons aren’t the only ones who shun. I have a cousin who is a Jehovah’s witness and she recently posted on Facebook how nice it is to be back in the fold and able to attend a conference they were doing. She had been shunned for something for months. Her own mother wasn’t allowed to speak to her. It’s all so bizarre! When this same girl got married, her brother had to sit in the back of the Kingdom Hall and speak to no one. He was being shunned. He has since left and converted back to Mormonism. I wish people could see that this is cult behavior. Control is what it’s all about. I’ve been lucky so far and haven’t lost friends or family because of my leaving. I feel for those who’s own parents disown them. I can’t even imagine the trauma that causes. If Mormons are Christians then it shouldn’t matter what church their family member decides to go to, as long as they have a relationship with Jesus, right? Well I’m glad you are not on the shun list in your community! The groups that are good at shunning are the Jehovah Witnesses, the Amish, the Hutterites, and the Scientologists. I understand that the JWs can be quite nasty. When you think about it, it’s a good way to keep people in line, sort of. Falcon said , ” I understand that the Jw’s can be quite nasty” . taught about this and how submissive Jw’s have carried it out towards ex members . Sad . be a fearful step for members to take but it is necessary in order to be spiritually free . and discover the liberating truth about what Jesus meant when He asked , ” come unto Me ” for salvation . There are some who learn this truth quickly , and some only after a long journey . Sadly , there some who throw out God altogether . Being a ” ex Jw” for example, simply means that a person has left the Watchtower organization . a false prophets lies . Patience and understanding is what these precious people need from christians . Ok……………I know you probably won’t read all outlined presentation 13 pages but it’s worth skimming through. Perhaps you former Mormons can find yourself there or those of you lurking and questioning might be able to identify your issues. Falcon, I skimmed it. Nothing too surprising, but a number did jump out at me, in section 5, d. we read that .08% of Mormons may be saved, if I am reading that right. Anyone know what this number is about? Shunning to me is like pouting. It’s childish, immature and like corporate breath holding. Does it work? Not with people who don’t believe in the group any more, who have integrity and/or are pretty strong emotionally. Piggy-backing on Mazlow’s hierarchy of needs, people join groups to get their needs met. They no longer stay in a group if their needs are not met. When someone leaves a group I guess those “in” the group feel rejected. To it’s a form of retaliation. If all people have in common is the “group” then it’s pretty standard practice to degrade the relationship. Way too much psycho-babble even for the falcon. What it means is that despite all of the extraordinary efforts on the part of the LDS to convert people, the total number is very small in relationship to world population. Mormonism is a niche religion. It has limited appeal. There is only a small number of people who will join and stick with it and the competition for those it may appeal to is finding competition from other small groups like the Jehovah Witnesses. So that number refers to the total number of converts in relation to the rest of the world? Or does it refer to numbers within the LDS program who reach exaltation or some specific level within the church?